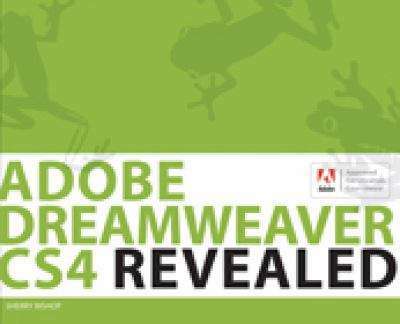 Discover all that Dreamweaver CS4 has to offer! Whether you're looking for a step-by-step introduction to Adobe® Dreamweaver® or a solid reference as you continue your work in Web design, this is a standout resource. Adobe Dreamweaver CS4 Revealed uses detailed, vibrant illustrations; clear, straightforward lessons; and real-world case studies to provide an overview of the Dreamweaver interface and how to use it effectively. This latest edition includes expanded content on CSS best practices, the Related Files toolbar, the Code Navigator, Live View, Code Hinting, and InContext Editing (ICE). Sidebars throughout the book incorporate basic Web design principles, providing readers with a skill set that goes beyond the software interface and can be applied in a variety of situations.